I cannot say that I have given it much thought, but I wouldn’t spend much more than $20 on a Christmas wreath. Finnish floral designer Pasi Jokinen-Carter shattered my spending limit by adding more than 138 carats of rubies and diamonds to create a wreath worth 4.6 million dollars US. 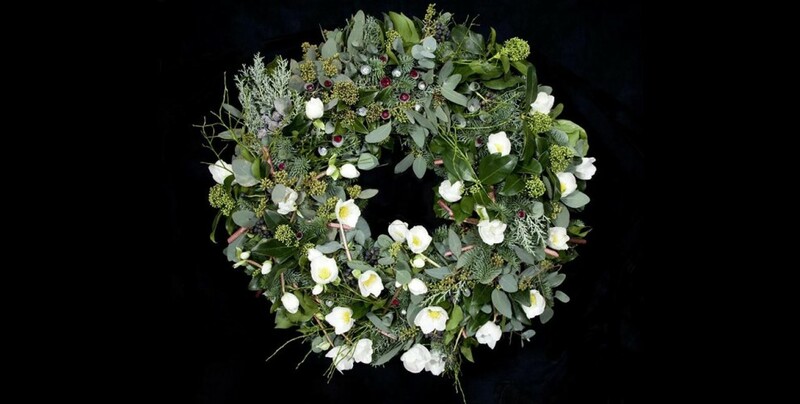 In addition to the precious stones, the 23″ wreath is also adorn with some of the world’s most exclusive flowers and leaves, including Hedera berries, Nobilis, lingonberry, blueberry stems and hand-curled eucalyptus leaves. 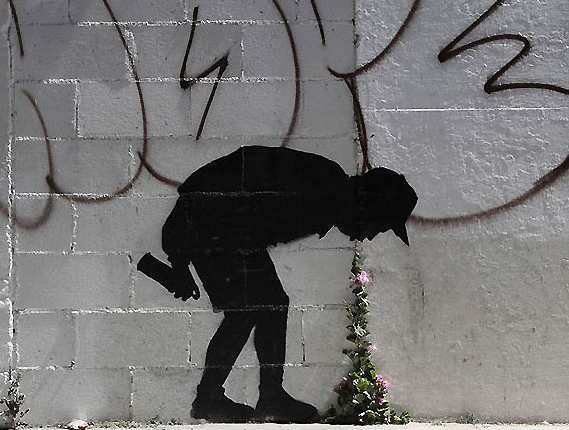 This week Los Angeles landed a visit from infamous street artist, Banksy, just in time for Octoberfest. Keeping with the theme of the overconsumption of spirits, the stenciler’s latest work depicts a street artist vomiting up a cluster of pink flowers that just so happened to be growing up the side of a dingy building. As a nod to fathers everywhere, Engauge pondered where we might be had our fathers not been there to teach us some of the things they taught us. The video features real Engauge employees, re-enacting activities their father taught them as if their father had not taught them. To be clear, we DO think Adam Emery knows how to ride a bike. It may be reality or it may just be an April Fool’s Day prank, but Google has announced that YouTube will be closing today. It turns out that the past eight years of the site was just a contest to find the best video in the world. It is now looking for the best video and has enlisted some top YouTubers, including iJustine and Antoine Dodson. The website will be shut down tonight at midnight and a winner will be unveiled in 2023, when the website relaunches featuring only the selected winner. 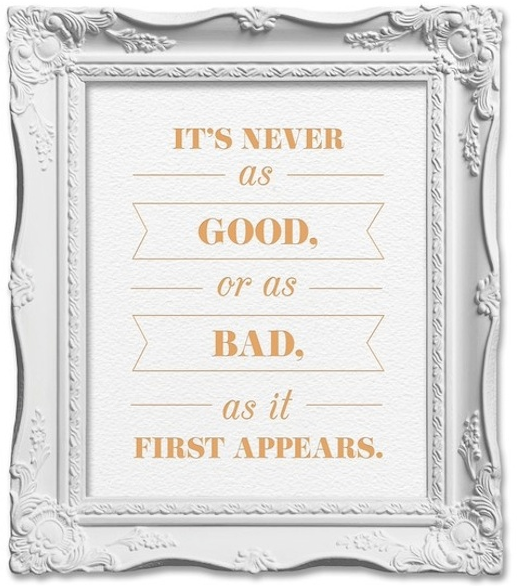 Thanks to Jorge Torneria for today’s fodder. What are the chances of a hippo and a sparrow finding love? A sparrow and a duck? A frog and an octopus? For Valentine’s Day, Google has a nifty, quirky, and interactive game that allows visitors to pair up ‘lovers’ from the animal kingdom to see how their relationship pans out. You might be surprised to see that a love affair between a horse and a tiger actually works. My Coke Rewards delivers a love letter to fans through a Valentines Day themed stop motion animation, created specifically for their Facebook page. The short, titled “A Tale of Two Caps”, features the iconic Coca-Cola caps and roughly 450 individual frames. The project was scripted, story boarded, designed, filmed and edited by Engauge’s own Nick Costarides, Eduardo Moutinho, Gable White, Dee Mustafa–Bowne and Jairu Ollennu. Check out the My Coke Rewards Facebook page and share the message of happiness with friends and family.